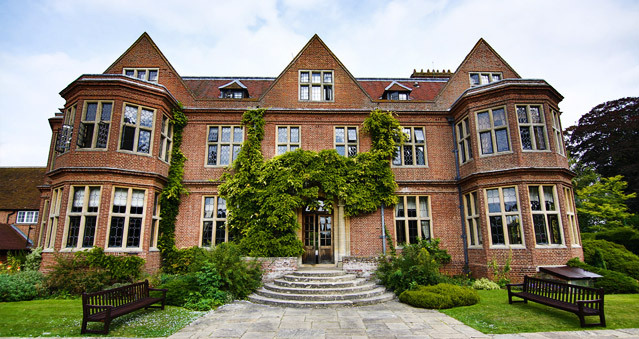 Horwood House brings together a wealth of original features along with 21st-century modern style across 35 different event spaces. At the restaurant, the modern British menu features classic dishes, sourced seasonally from good suppliers whilst the Executive Chef team curate celebration menus. Head upstairs and you will discover a collection of modern and stylish bedrooms. The manicured Pytheas Gardens at Horwood House, complete with a lily pond, make a great spot for a stroll whilst 38 acres of wider estate grounds reveal some of Buckinghamshire’s most beautiful countryside. Location: 11 miles from Milton Keynes, 25 minutes from J14 of the M1, 40 minutes from Luton airport and an hour’s drive to Heathrow.